Aloha active is Noosa’s newest Yoga, Pilates and Massage centre located in the beautiful Noosa Blue Resort. The studio is equipped with the latest infra red heating and ventilation system designed for both heated and room temperature classes. We offer daily classes of varying yoga styles and pilates, view the class timetable now. Meet the fabulous team of teachers at Aloha Active Noosa! I’ve been on the health and fitness journey for over 30 years. Coming from a competitive sports background, and with it, many injuries, I started exploring yoga in the hope of healing my physical body. I spent 30 years in hairdressing and training, running my own salons in the UK. I have always loved working with people and cared about my own health and wellbeing as well as that of others around me. My yoga journey began in 1988 when I did my first Bikram Hot yoga class. I have never looked back. After only one class the benefits to both my mind and body were clear. It left me with an overwhelming sense of strength and confidence – physically, mentally and emotionally. It was a feeling I had never experienced from any other activity. In 2000 I became a certified Bikram Yoga teacher which led me to further yoga training in India, exploring different styles of yoga from power sequences through to yin meditation. Over the past 18 years I have continually trained in more styles and furthered my knowledge across other fields, including pilates, massage and nutrition. I opened my first Yoga Studio in Noosa 2007 – Bikram Yoga Noosa, followed by a studio in Kawana and later, Aloha Active Noosa. I wanted Aloha Active to be more than just a place to do yoga. The spirit of ‘Aloha’ is about the amazing flow of positive energy, with the seed of life at it’s core. It was this which I have strived to build into the foundations of Aloha Active, offering all sorts of yoga, pilates and massage as well as an amazing, supportive community. 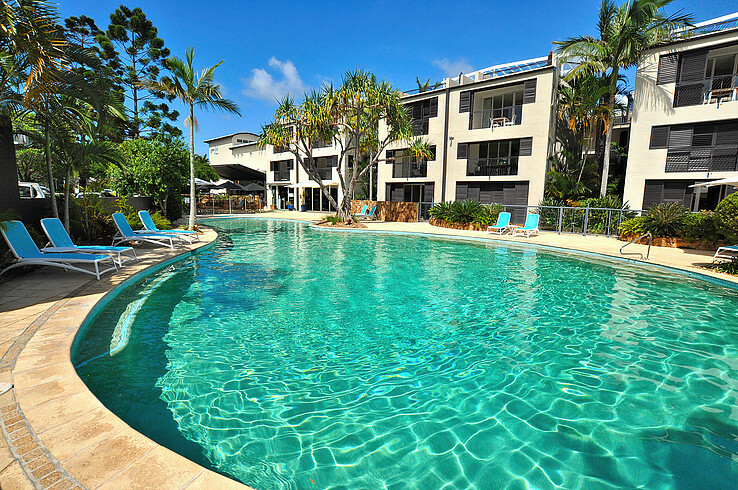 Located in the stunning Noosa Blue Resort and with up to 9 different classes running per day, the Noosa community and visitors alike are spoilt for choice. I am very fortunate to have a wonderful team of instructors and masseuses behind me, helping to form and nurture the wonderful Aloha family and sharing my passion to educate more about health and wellbeing.